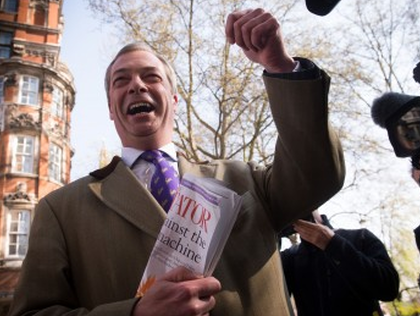 UKIP leader Nigel Farage is known for his sense of humour, yet rarely takes on stand-up comedians at their own game. 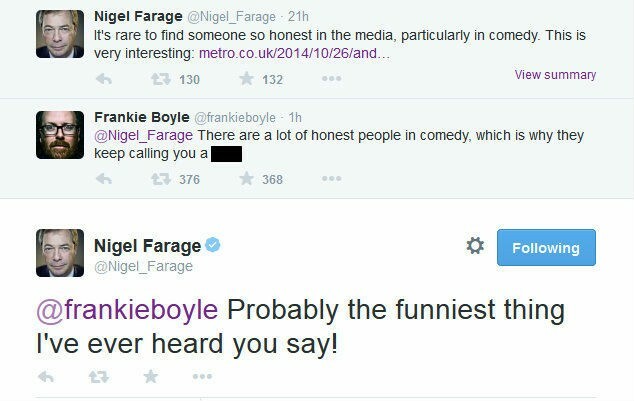 So when left-wing comedian Frankie Boyle decided to send a foul-mouthed tweet to the UKIP leader earlier today, he probably didn’t expect Farage to respond. Andrew Lawrence, who is himself a stand-up, hit out at his fellow comedians who “crack cheap and easy gags” against UKIP, saying that “aging, balding fat men” were guilty of “liberal back-slapping”. Click here to see the full uncensored exchange.